Hitting Byron Bay after the anticipation on the drive down is everything to be expected. It's like a warm rush to the soul, a sense of excitement, and relief. It's somewhere special that's for sure - somewhere creativity is conjured up within dreams throughout the moonlight, where inspiration comes to you suddenly while sitting in the serenity of the rainforest; somewhere I always take moments to myself to enjoy the calm and serenity while I am visiting this magical part of the world. I travel to Byron a number of times a year, and still have many places to explore. Below you will find just a small snippet of some of the many things I love to do, and places I love to visit over and over again on my quarterly migration here. 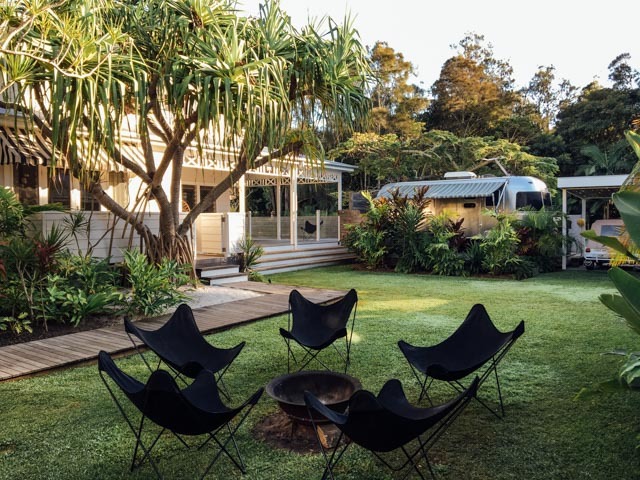 The Atlantic Byron Bay - right in the middle of town, this guest house with lush tropical garden surroundings is where I put my feet up at the end of a busy day rushing from showings, or having a day at the beach! Made up of a number of shared spaces, this incredibly designed guesthouse not only features a number of options dependent on budget, but has a beauty of a pool and you can't beat the location. Just 2 minutes from main beach, and a few meters from some of our favourite bars and restaurants, this is a serene, quiet space where I've spent many afternoons and early evenings meeting new friends and old. My favourite is 2 Albatross Room. I look forward to the beautiful outdoor shower and private garden every time I visit. Did I mention The Atlantic is home to some of the most incredible floor tiles? Completely gram worthy, by the talented Jatana Designs these feature throughout the properties onsite. Other great options are The Byron at Bryon - a real treat if you want to splash out. Surrounded by incredible rainforest walks and right on Belongi Beach. You can't get more serene that this. Make use of their bikes and bike into town via the infamous Road House Cafe. Worth a mention is the Flamingo - gorgeous new onsite boutique accomodation renamed the Bower they have a variety of guest houses and small units to suit your needs and travel size. Lovely new eatery on site. Peckish? You won't find a better place for beautiful, fresh healthy eats than Byron Bay. There are literally, a plethora of incredible cafes and restaurants to dine at, these beings just a few of my favourites. St Elmo - just a few moments walk from The Atlantic, this lively little tapas wine bar in the middle of town is a fabulous choice for late night dining with a few bottles of red. Mez Club - Takes me right back to the gorgeous interiors of the Greek Islands. Some of the best cocktails I've ever had in here with a fabulous meze menu to match. Get there for Happy Hour and indulge in the Turkish Princess! Trattoria Basiloco - Authentic Italian just a 5 minute walk from The Atlantic. Outdoor seating which is great for people walking, I love the home style cooking of this local restaurant. Folk - Located by the Camping site on the road to Ewingsdale, this is my all time favourite spot for breakfast. Beautiful, nourishing organic food, you won't find any bacon here but I cannot go past the smashed avo with ducca, (eggs options) and the incredible rose and coconut milk cold brew. Absolutely to die for. This spot sure gets busy - but perch yourself either on the floor cushions or around a cosy table and your body will thank you. The Roadhouse - Stop here on the road out to Bangalow for a lively, healthy stop for breakfast or lunch. The menu is sourced from locally grown farmers and their coffee and cold brew selection is to die for. A great spot to people watch! It wouldn't be a trip to Byron without taking in some of the beautiful scenary it has to offer. The Lighthouse walk is an easy and quick hike that you can make longer by walking from the Atlantic and back. 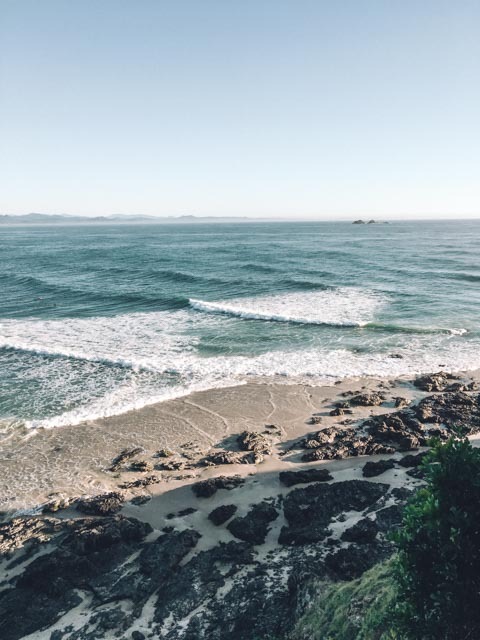 (Taking a pit stop at the wonderful Beach Byron Bay for a coffee or lunch) Twist your way around the lovely coastline passing wonderful Wategos and Whale watch when you get to the lighthouse. You'll be spellbound reaching the top and seeing their beautiful song. There are a number of Hinterland walks and hikes, a favourite of mine being The Minyon Falls only a half hour drive from Byron, or further afield is the incredible Twin Falls hike throughout Springbrook National Park. Make sure you pack decent shoes, some bottled water and of course.. your swimming togs! Not into hiking? Take the easy drive up to Bangalow, a gorgeous little town 10 mins out of Byron. 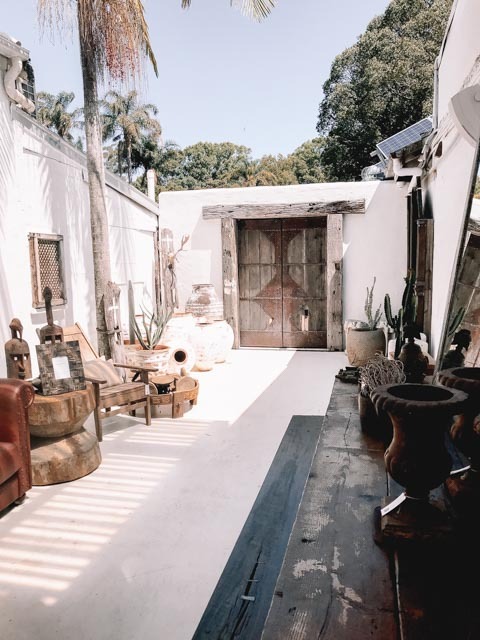 Here you will find my favourite Island Luxe Boutique, an inspiring fashion and homewares store set in a chic retail designed store envious of any boho luxe inspired woman. Walk up the main road and pop into some of the cute cafes and local stores.